York Mumbler Nearly New Sale is coming to WIGGINTON! Same great bargains but a new location for the Easter Special. Grab some bargains! 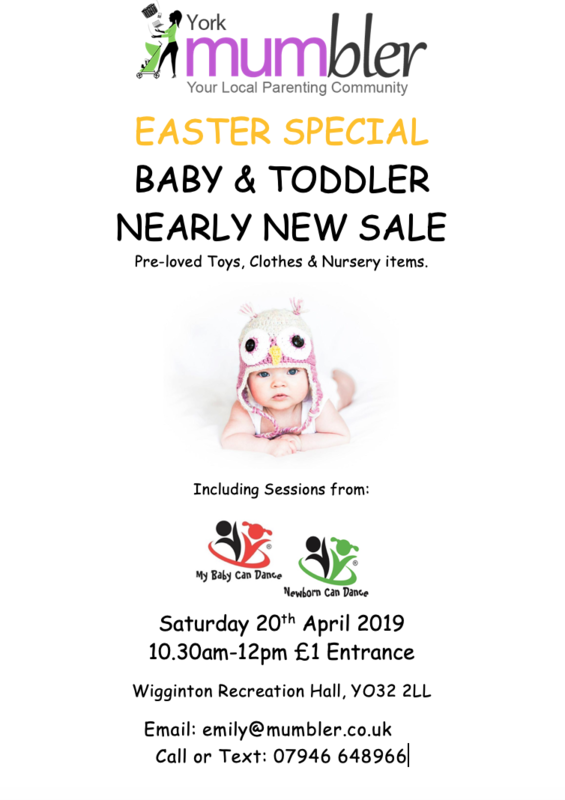 For pre-loved baby and toddler clothes, toys and nursery items as well as some Easter Treats and also I’m super excited to announce that MY BABY CAN DANCE are sponsoring the event and will be holding sessions at the event too! More details to follow. These sales are always very busy so please, if at all possible, bring slings to carry babies rather than push chairs. There will, of course, be enough space to push a pram round if needed though. If you are interested in a stall for selling please contact emily@mumbler.co.uk.